With this article on Bats, we start a series on senses and behavior of living beings. In this article we talk about how we ourselves see, produce and hear sounds. We get to learn about interesting objects called Waves. This helps us to understand what bats are most famous for : Echo-Location, the way they can ” see with the help of sounds”. We get to know the kinds of bats closely and how they live together. We learn how their wings and ears help them to obtain food. After this we finally talk about what we have prepared ourselves for : Echo Location. We learn about what can a bat tell about its prey from hearing its echo and also the interesting strategies with which bats echo locate to hunt. We then explore the strategies they use for hunting. How these strategies help them is easy to understand once we know a bit about sounds. We talk about their habits and how they spend their entire year. 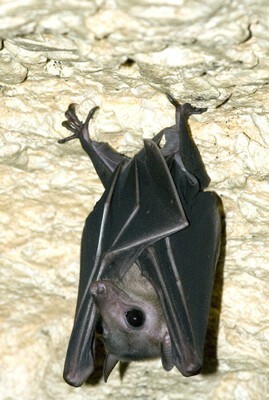 Also figures a small section on Bat Mothers care for their babies. Then we talk about how similar they were to us in the past. We get to know of how they used to look millions of years ago and why did they have to grow wings. Finally how they can be useful to us. We get to know about Pollination and about Rain Forests which they help pollinate. In the end we talk about how they are not the other animals who echo locate. We talk of animals in the sea who use them and how it is even more useful in the seas. Finally we close the discussion by getting to know “What comes Next ?” Also enlisted are some great on line resources to explore Bats, nature’s unique marvel . Acknowledgements and Photograph credits ate enclosed along with. Hope our teachers and kids find this useful. If you have anything to say, you can give your feedbacks here. What do you imagine when you think of a bat? Is it a bird, an animal or an insect? What do they eat for food? Have you seen them getting their food? Do they make sounds? At what time of the day have you seen them? Do you find them clean? Do you think they can be useful to us? First let us learn about how we see and hear. We will find that the way we see and hear is not different from the way other animals do . For you to be able to go to all the pages of this lesson from one place, we enlist them here. This will tell you what all we will get to learn from this article. 2. How do we see things ? 3. How we produce and hear sounds ? 6. How do bats fly ? 8. What can a bat tell about the insect from its echo and how ? 13. How do living beings tune into the sound surrounding them ? 18. How do bats care for their babies ? 20. How important is bat pollination to us ?